Last night at home we had a power failure – no electricity! It’s really quite annoying when that happens. My mom explained to me that Eskom, the company that makes electricity for all the homes in the country, sometimes has to cut power to houses so it can save electricity. The amount of coal they have is very limited, so they have to save electricity whenever they can. Eskom cuts power to different places at different times so they don’t have to cut it to the whole country at the same time. This is called load shedding. This got me thinking that we can help the situation by trying to save electricity in every way we can. This falls under kids rights and responsibilities. 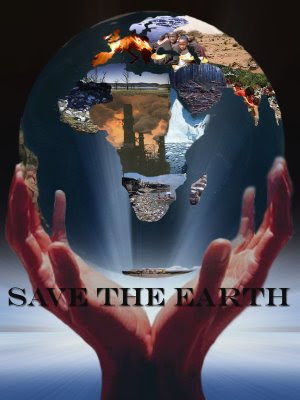 I Have the Responsibility to Save Natural Resources. Alternative energy sources are sources of energy other than the regular ones like coal, oil and gas. Coal, oil and gas are known as fossil fuels, formed from plants and animals that lived up to 300 million years ago. They are burned to give humans the energy they need. The problem with relying on fossil fuels for all our energy is that they are a finite resource, which means they will someday run out. Another problem is that when you burn fossil fuels you produce a huge amount of carbon dioxide. You might ask what’s wrong with carbon dioxide since this is a gas we all produce every time we breathe out. 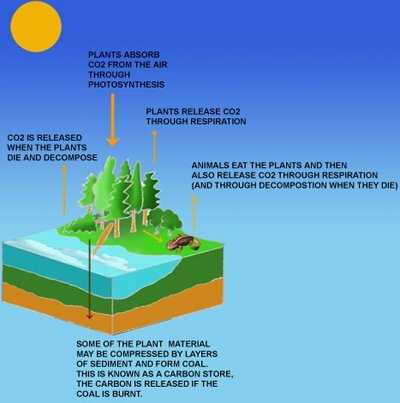 The answer lies in how much carbon dioxide is being produced. 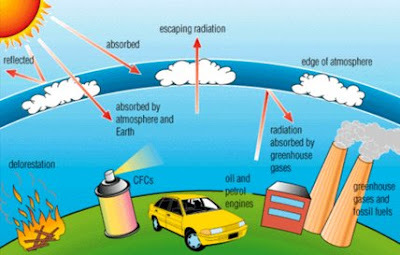 Too much carbon dioxide in the atmosphere is very harmful to the environment. After the rays from the sun hit the earth they should bounce back towards the sun. The problem is that emissions from cars and power stations, contain too much carbon dioxide and this is preventing the suns rays from bouncing back towards the sun. The heat from the sun is trapped in the atmosphere and the earth is getting warmer than it should be. Eventually this warmth could build up until the whole earth begins to dry up. Ponds and streams might disappear and clean water could get even more scarce. To let the heat out, we need to cut down on burning coal, oil and gas in cars and power plants. That means using less energy to travel places, to heat and light our buildings and to power factories. It also means finding alternative sources of energy such as wind energy, solar energy and hydro-electric power. 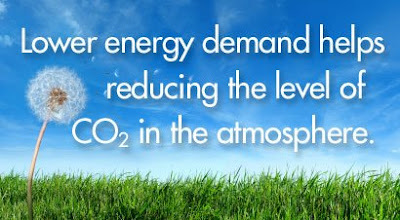 These sources of energy are kinder to the environment because they do not produce carbon dioxide. 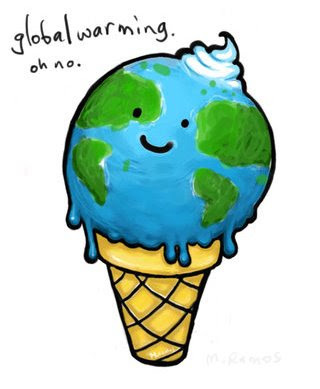 Leaders around the world have signed an agreement called the Kyoto Protocol. Countries now have to make sure they release much less carbon dioxide so the air we breathe can be healthy. People can help by using alternative energy sources, instead of coal, gas and oil. 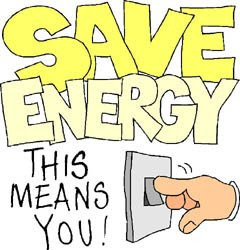 Saving energy at home, school and work is very important. Every bit we save saves our environment. 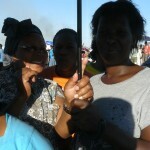 Thabo and Palesa’s home had been without electricity for two days. Playing shadow puppets on the first night was fun, but on the second night, after having taken a cold bath, they weren’t in a good mood. Dad called the family together and as they sat by candlelight, he explained that the electricity was cut because he was behind on the payments. With the rising costs of food and petrol, dad said it was hard to keep up with paying all the bills on time. He said if they didn’t do something soon, even the water might get cut! Scared of living in a dark, cold house without a drop of water to drink, or cook with or take a bath, Thabo and Palesa went to the library at their school to find information on how they could help save electricity and water around the house. This way, dad would be spending less money. There was so much information, Palesa and Thabo couldn’t wait to get home to show mom and dad. The best part of saving water and electricity was that they would not only be helping their father, they would also be helping to save the earth’s natural resources. This would ensure that there was enough electricity for their family and everyone else, even future generations. As soon as they got home, Palesa and Thabo showed mom all the information they found. Dad would put off the geyser in the morning when they left for school and work, and he would put it on in the afternoon when they got back. He would also get a geyser blanket to keep the water in the geyser warm. This would help them cut about 21% of their electricity bill. Old light bulbs would be replaced with the new compact ones, which used up to 60% less electricity. Mom would also use a hot box when cooking, which was a special box that helped to cook food without using electricity. Everyone, including mom, had to spend no more than 5 minutes in the shower. Dad said it wouldn’t be a bad idea if mom spent less time using her hairdryer. Mom agreed, as long as dad fixed the taps when they had leaks, so water wouldn’t get wasted. Thabo and Palesa had one more thing for mom to do – defrost the fridge when it got packed with ice. This helped the fridge use less electricity. Mom agreed again, but said Thabo, Palesa and dad could take the food out of the fridge while it defrosted. What will you be doing when we do all this hard work, they asked? I’ll be sitting on the coach saving my energy, mom replied! You too have the power to do things to save water and electricity in your home and at school. It’s little steps that make a big difference. Save water and electricity today, so there is enough for tomorrow. 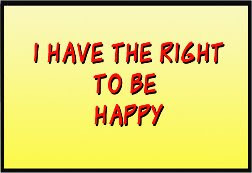 You have the right to have water and electricity. It’s your responsibility to save them. 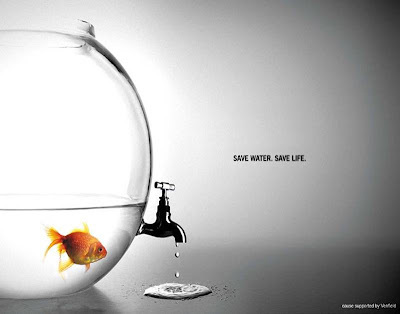 Remember, save water and electricity – every bit counts! For some great tips on how to save electricity just click here. And to learn how you can save water click here. 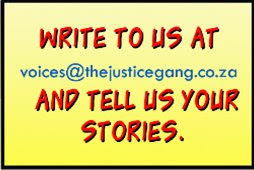 Well, that’s it for today, don’ forget to write us and let The Justice Gang know how you feel about this right. Once upon a time, there was a lady called Byron Katie. For many years, she was a very sad lady. She got so sad that she spent all day in bed, thinking about how sad she felt. She was so sad, she wasn’t interested in life anymore. She never got dressed or combed her hair, and food did not taste good to her – not even chocolate! Then one day, a sunbeam came in through the curtain and fell across her bed. Katie looked at the sunbeam and it was like a light bulb went on in her head. She realized that what made her so unhappy was the thought that things should be different than they were. When she thought “There should be less suffering in the world.” she felt afraid and scared. When she accepted there was suffering, she was able to say “There is much suffering in the world. What can I do to help?” She realized that what was making her so sad was NOT the world around her, but what she believed about the world around her. Katie worked out a way to help people question whether they really believe the thoughts that make them so unhappy. She developed The Work: 4 questions and a turn around. 3. What happens to you when you believe that thought? And then she invites them to Turn the thought around: “I can do it! Now Katie helps people all over the world with The Work. She has turned her life around and has become filled with love for everything life brings. Well, Carmen can definitely use the Work to help solve her problem. If she goes through these questions she would probably find that she can’t know for sure that everyone is talking about her behind her back. She’ll also be able to question whether everyone really hates her. I bet she’ll find this is not true at all. She’d also see that she can’t know for sure that she’ll never feel happy again. If she turned this thought around, she’ll find that lots of things make her happy. She’ll realise that things are not so bad and she’ll start to do the things that make her happy. It’s so easy to believe the things we think but if we just question our thoughts a little bit we can see that our minds sometimes make up stuff. We need to learn to tell the difference between our imagination and what is real! We need to know the difference between fantasy and reality. *Our minds think thousands of thoughts in the wink of an eye. *Turning your thoughts around will give you the energy to know what to do! 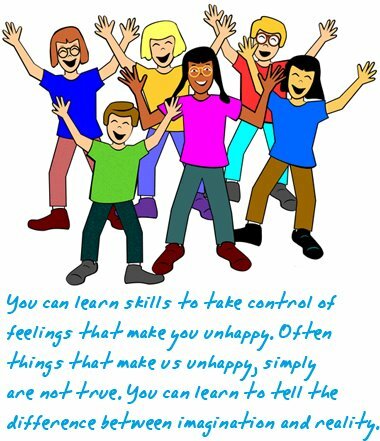 For more information abut Byron Katie, just click here. That’s it for now, and don’t forget we’d love it if you let us know what you are thinking, or if the Justice Gang can help you in any way. Hello everyone,Today we’re looking at something very interesting. It’s an issue that’s new to our generation, something that our parents and ancestors never had to worry about. Yes, I’m talking about your Right to be Safe in Cyberspace. Our generation is internet savvy, and that means we use social networking sites like Facebook, My Space, Flickr and Twitter to name some. These are all websites where you can post personal information and photo’s and other people can visit your webpage to communicate with you and leave messages and comments. Sounds like fun, and it can be, but sometimes people leave nasty comments, they may even use your webpage to bully or pick on you. There are also instant messaging systems like MSM and Skype where people type messages to eachother over the internet. Let’s take a closer look at the world of cyberspace and what your rights are.Here’s a letter we received that describes what the problem can involve:I am so glad you brought up social networking. A lot of kids at my school are obsessed with facebook and MSN. They are always talking about the latest pictures people have posted on their webpages or who said what on MSN. The other day someone in our school network sent out a message, which said “ Ugly and Fat. Vote for the Ugliest Fat Kid at our school by clicking here.” They had posted pictures of five kids at our school and I know some of them! I feel so upset that people can be so unkind to each other. Should I tell someone about this cyber-bullying? DanielleAs usual, Gugu and I did some research on the topic, and this is what we found out:Cyber-bullying is using the internet, cell phone, or other electronic device to send or post text or images to try to hurt or embarrass someone.Have you ever received a mean email or instant message? Have you ever sent one? Then you might be guilty of cyber-bullying. 2. A friend says to you. “Have you been to the Rate Me website? You can rate kids in our class, like prettiest and dumbest. I think you’re on there. *Don’t forward emails or messages that are mean or that spread rumors about other people. *Save or print all messages from bullies. *Show the messages to an adult you trust—like a parent or a teacher—and ask for help. If the first adult you tell doesn’t help you, keep telling until someone does. Cyberbullying is not OK! 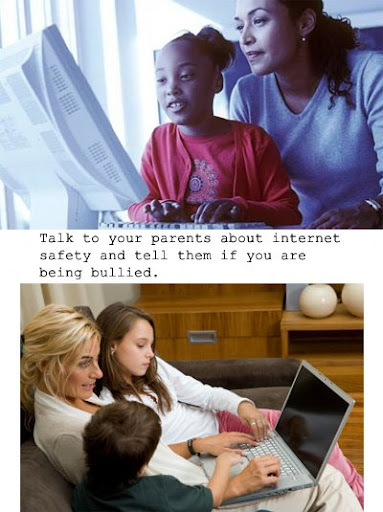 You have the right not to be bullied, on the playground or in cyberspace! You also have the responsibility not to bully others. Remember Think Before You Click. Cyberbullying is easier than the old fashioned type: it can be anonymous AND a lot more people can see of read the nasty things you say. You don’t have to have a lot of courage to mean in cyber-space if you won’t be found out. The problem is, how do you report it if you don’t know who the bully is? Well, did you know that if you report the incident to your service provider, they can trace who the e-mails or the SMS messages are from. And if the messages are threatening, the police will investigate the matter with the service provider. My name is Lolo and I am 14 years old. I was so excited when my parents bought me a new computer and linked me up to the internet. I couldn’t wait to start visiting the chat room where my school friends hang out after school. Now I just had to choose a really cool username. 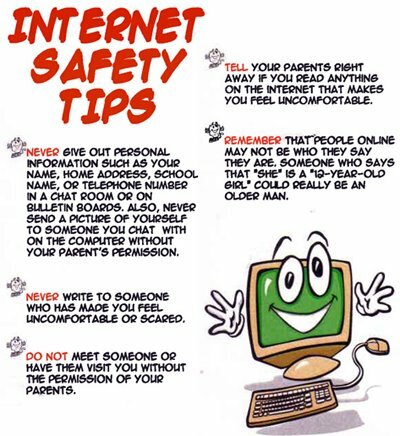 We’d had internet safety lessons at school and I knew that I should not use my real name or give away any information about my age or where I live. I decided to call myself AquarianCat, because I’m an Aquarian and I love cats. When I logged on to the chat room, I got sent a private message. It was a flame, a message meant to hurt me, from someone called Just4Kix. Just4kix said that my user name was stupid and I should leave the chat room. I couldn’t believe that someone could be so rude and I wondered who had sent me the flame. I ignored the message and looked for the usernames of my friends. When I didn’t see anyone I recognised in the chat room, I logged out. After that, every time I logged into the chat room, I received flames from Just4Kix. I decided to keep ignoring the messages, which were really mean and all in capital letters which meant Just4Kix was shouting at me. It got so bad that I started to feel afraid to turn on my computer. I wondered why this person hated me so much and I still had no idea who they were. After a few weeks I decided that I’d had enough. I told my friends at school that I wasn’t going to visit the chat room anymore! When I got home that day, I didn’t go on the website. But when I opened my e-mail, Just4Kix had sent me a really scary message. “Hey AquarianCat. I’m going to come to your school and hurt you – Just4fun – Just4Kix. “ I didn’t know what to do. At first I panicked and then I started to think. In our internet safety classes we were told us we shouldn’t delete messages that were threatening. We should save them in case we needed to report them. Now I wished I had kept all those flames that Just4Kix had been sending me all along. I turned off my monitor without deleting the message and went to tell my Mom what had happened. She was really upset that I had not told her earlier. She was right to be upset. I shouldn’t have ignored them for so long. They made me feel really bad and I should have told her sooner. We decided we had to report this to the school principal, because most of the people in the chat room were from our school. The principal called in an expert on cyber bullying to talk to our school at an Assembley. He told us that it’s illegal to communicate again and again with someone in a way that made them afraid. It’s also illegal to write things about people that are not true and that will damage their reputation. He told us that if anyone is being bullied on the internet or over their cellphones, they should let the police, their service provider and their school know what was going on. He reminded us about other ways to keep safe when we use the internet to talk to other people. * Keep your password safe! You can tell your parents about it, but not anyone else — not even your best friend! *Don’t share secrets, photos, or anything online that might be embarrassing if someone found out (like your entire school! Or even your Mom!!). * Set up email and instant messenger accounts with your parents. Make sure not to put your name, age, address, or phone number in your profile or screen name. *Never meet someone face-to-face that you know only from the Internet. The internet expert told us that if we are being bullied on the internet we should Stop (don’t respond) Block (block that user name from your webpage) and Tell! 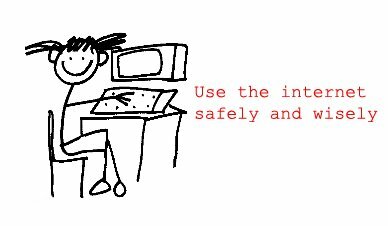 My Mom and I agreed on some rules about going on the internet. I agreed not to talk to anyone I don’t know and NEVER to give out my personal information online. She asked me to move my computer into the family room so she can keep an eye on me while I am on-line. At first I didn’t want to do this because I thought she was treading on my right to privacy. But when I thought about it some more and I agreed. Let’s face it, the internet can be a pretty scary place. The people you chat with online may not be who they say they are and I feel safer knowing my Mom is there to help me when I need her. 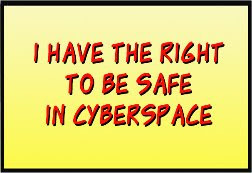 I know that I have the right to be safe in cyberspace but I also have the responsibility to make sure I keep myself safe! 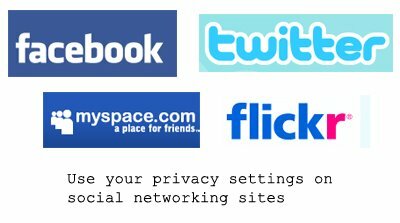 Remember, that Facebook and other social networking sites have privacy settings. 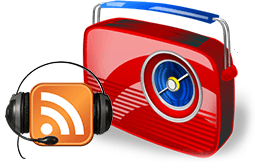 Get to know how to use them so you can have control over who has access to your website. Well, that’s it for today. 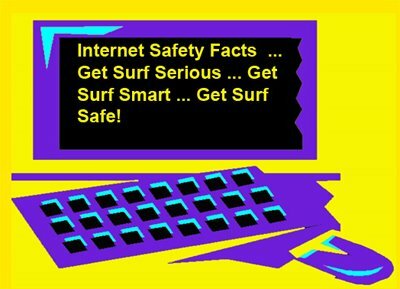 Don’t forget to leave us a comment or send us an email…..and surf safely! 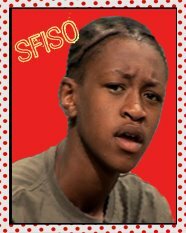 My name is Mandisa. I live with my father and my four brothers. I am in high school and I really enjoy it. I think that it is very important to finish high school because I want to do something important with my life. 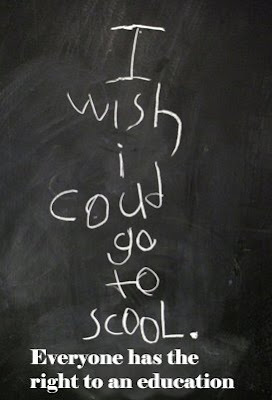 I’m not exactly sure what yet, but I know that if I am not properly educated I won’t be able to get a good job. The problem is that my mother died and my father wants me to quit school so I can stay at home and look after my brothers. He says there is no one to do the washing and ironing and the cooking anymore and now it is up to me. He also says he thinks it will be safer for me at home. I know that it is important to look after your family but what about what I want? Don’t I have the right to finish my education? How can I convince my father that I should stay in school? In 2000, leaders from around the world signed the Millennium Declaration, which outlined eight important goals that they want to achieve by 2015. Goal number three is to Promote Gender Equality and Empower Women. This means making sure that women have the same chances as men to improve their lives and the lives of their families. 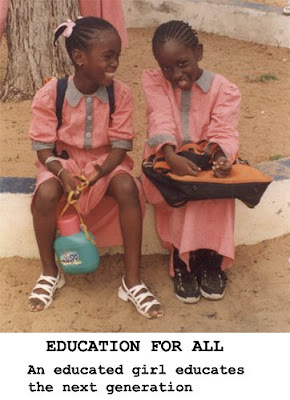 Equal access to education is an important part of promoting gender equality. Education for all is important if we are to solve the world’s biggest problems. Reducing poverty, improving general health, halting the spread of HIV and AIDS, and enabling people to play a full part in their communities and nations, are all made more possible by access to education. Unfortunately, in many countries in the world, women are often not given the same opportunities as men. For example, many poor households in developing countries will only send their boys to school, forcing girls to help care for the home and other family members. Around the world, more than 115 million children of primary-school age are not in school. Nearly 53 per cent of these children are girls. Two-thirds of the world’s illiterate people are female. Sadly, uneducated girls grow up to be disadvantaged women. Without an education, it is not easy to get a good paying job and on average, women earn only three-quarters of what men earn. By the age of 13 or 14, a girl with little education or knowledge of her own rights may find she has few choices. She may marry early or, if she works outside the home, she may be at greater risk of being overworked, underpaid, and even physically abused. An educated woman has more options, including a career, marrying later, not marrying at all, and having fewer children. She knows that she has rights and is likely to have more control over her life. But educating girls isn’t just good for girls and women. It’s good for everyone. For example, if a girl learns about human rights, health and safety issues, she can pass this knowledge on to her family and to friends. Educated women are in a better position to know how best to protect and nurture their children. They are likely to make sure their own children – boys and girls – are educated. With the knowledge and skills they develop, they can become productive workers and earn higher salaries, bringing in income for their families and contributing to local and national economies. They can also help improve their communities and environments. 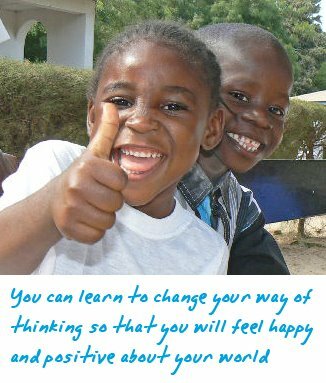 In other words, educating girls as well as boys is good for boys as well as girls. It’s also important to know that you have the right to schools that are safe from violence and abuse, and corporal punishment is not allowed. That means teachers are not allowed to cane or hit you or hurt you in any way. If your school is not safe, or if teachers are using corporal puishment you have the right to report this to the proper authorities like the Department of Education. 1. 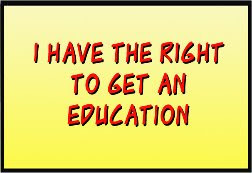 Protect your rights – schools should make sure your rights are protected, especially your right to good quality education that helps you develop to your fullest potential. 2. Put your interests first – above the interests of teachers, or local authorities, or even your parents or guardians. 4. 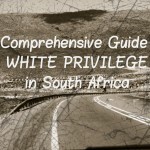 Not discriminate against you in any way. 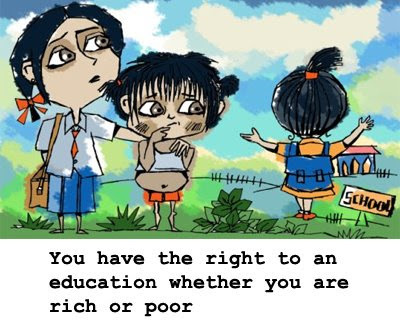 Here is some more information from UNESCO on your right to get an education. Just click here. Well, that’s it for now, don’t forget to email us or leave us a blog comment, we’d love to hear your thoughts and opinions. Hi everyone,Today we’re finding about something that affects all teenagers, and something that I’ll bet you never expected to be one of your rights. 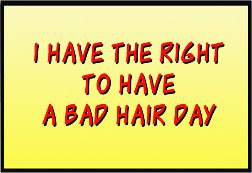 I’m talking about the Right to have a Bad Hair Day. That might sound like something not so important, but let’s take a closer look at what this means. Every day we are bombarded with images of perfect people with perfect skin and perfect hair. Just look at all the models in magazines and all the film stars! Let’s face it we are under a lot of pressure to look beautiful all the time! This effects girls a lot but boys are under pressure too. Think about all the men in the adverts with their perfect muscles and perfect hair. It makes boys feel like they’re supposed to look like bodybuilders.Why is it so important to look a certain way? Why can’t we all just accept ourselves the way we are and be happy? And what makes this a children’s rights issue exactly?Here’s an email someone sent us:My name is Catherine and I am 14 years old. I’m pretty OK with the way I look, but all my friends ever seem to talk about is how unhappy they are with their hair, their weight, the length of their legs and so on and so on. There’s a lot of pressure to look a certain way. What I want to know is who decides who is beautiful and who isn’t? And more importantly, don’t I have the right to a bad-hair day now and again?Catherine brings up a VERY interesting question. What does “beautiful” mean anyway, and who decides whose beautiful and whose not? Gugu and I did some research to find out more and this is what we discovered.Did you know that blue hair was all the rage in ancient Egypt? Or that having a corncob shaped head was the ultimate sign of beauty in Mayan societies? Mayan parents used to strap their babies heads to two boards so that the skull would be elongated. What a price to pay for beauty! As hard as it may be to imagine, ideas about what makes a person beautiful differ from country to country and have changed a lot over time. Take a look at this historical time line which shows how ideals of beauty have changed in the western world over the past two hundred years. 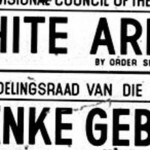 1800 – Small, thin bodies are in, as is ghostly white skin. Women wore tightly laced corsets to achieve the smallest possible waists; their stomachs and lungs were so compressed they could hardly eat or breathe. Some women even had ribs removed so they can lace their corsets tighter. Fainting spells were common. 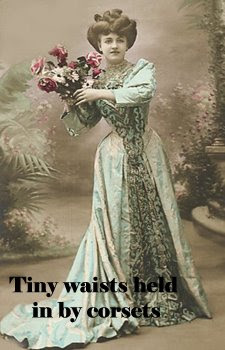 1860’s – Plump women with large hips come into fashion. A little extra weight is considered a sign of prosperity, and proof that you are a nice person. Thin women are considered mean and sour. 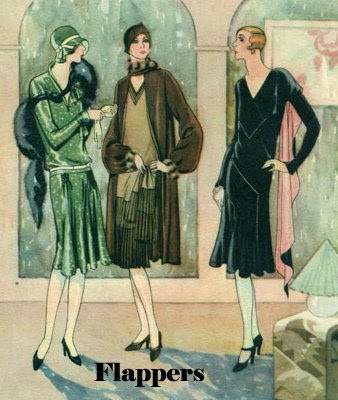 1920’s – the ‘Flapper” look is in style. Women bind their breasts to achieve a slimmer, sportier, more boyish look. Skirts get shorter and dieting becomes a popular pastime. 1930’s – The Great Depression and World War II gave women more serious concerns than the numbers on their bathroom scale. A more full-figured look is in. 1950’s – Marilyn Monroe frenzy leads three out of 10 brunettes to dye their hair blond. Womanly curves and beehive hairdo’s are definitely in! 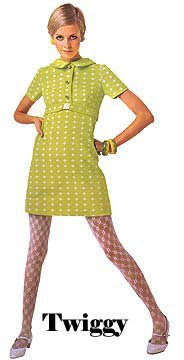 1966: The miniskirt arrives, made popular by an underweight 17 year old fashion model, Twiggy who was 168cms and weighed just 40 kg’s. 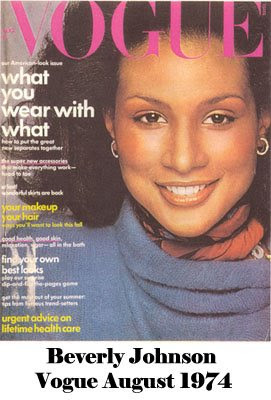 1974: A black model appears on the cover of Vogue magazine for the very first time. 1990’s – the supermodel look comes into fashion – models with sickly, bone-thin bodies are the norm. The US Centre for Disease Control estimated that 11 million women have eating disorders. 2000’s – Cosmetic surgery including liposuction, nose jobs and breast implants become increasingly popular with young women. One Third of girls ages 12-14 say they would like to have cosmetic surgery to correct something they don’t like about themselves. Meanwhile in Africa, things are a little different. In many parts of Africa thin means poverty and fat means wealth. In large parts of Africa, women are fattened up as much as possible before marriage. In south-eastern Nigeria, girls are kept in “fattening rooms” for weeks, prevented from exerting themselves and given high-protein food. In southern Niger, girls take appetite-enhancing pills and drink excessive amounts of water. In Mauritania, their ankles are bound to increase water retention as they are fed huge quantities of sweetened goat’s cream. This just goes to show that ideals of beauty can be very different depending on where you are from. Sadly, Africans are now adopting the Hollywood idea of beauty. Most of the TV we watch and many of the magazines we buy are made in North America. Many young women try to look like these models even if they do not have the same body type. If you put all your energy into trying to achieve the body you weren’t meant to have, then your self-esteem can suffer. This is one of the reasons why young girls can be so susceptible to eating disorders. Anorexia – starving yourself to keep body weight abnormally low. Bulimia: Eating large quantities of food and then vomiting it up, to keep your body weight abnormally low. Most of the ads we see of beautiful perfect people are in fact digitally altered to make them perfect, so consider throwing out all the fashion magazines that made you feel bad. You can write letters to the companies that produce adverts that made us feel bad about ourselves. Ask them why they didn’t use more normal looking people in their ads. Also write letters to the magazines that print the ads. Even if nothing changes, you will feel empowered by having your say! 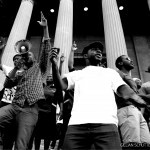 Now think – who is in charge of our self-esteem anyway: the mass media or us? We are of course! Make a list of the 10 things you like best about yourself. Then make a list of 10 wonderful things that your body allows you to enjoy. Riding a bike, dancing, climbing a tree. The more you focus on how amazing your body is for allowing you to do all these things, the less you’ll focus on what your body looks like. You only have one life to live, so why waste it worrying about how fat your thighs are or how to achieve that perfect complexion? There is more to life than thinner thighs. The most important thing is to start loving yourself from the inside out. This means not putting your looks down at any time. Never forget that you are wonderful all around, from the inside out. Find things that make you feel good about yourself that don’t involve buying some product. Maybe it’s doing a friends hair or running, taking a walk, or playing a musical instrument. When you look at yourself in the mirror, practice being kind to yourself. Tell yourself what about you looks great and strong. Keep the negative voices out your head. This doesn’t mean that you shouldn’t read magazines or put on nail polish or dye your hair or dress up. But when you do, remember that you do not have to measure up to someone else’s idea of beauty. Just have fun expressing yourself. One of the UN Millennium Development Goals is to ensure environmental sustainability, which means protecting the Environment for Future Generations. Governments can help by making laws to protect the environment, but isn’t it up to all of us to look after the earth, so that we have something to leave those who come after us? Do you ever stop to think about how your own activities affect the earth? Like many teens around the world, your room is probably full of stuff, right? Okay I know kids in South Africa probably don’t have nearly the same amount of stuff as kids in richer countries, but we’ve probably got more than we really need. Come on be honest with yourself! 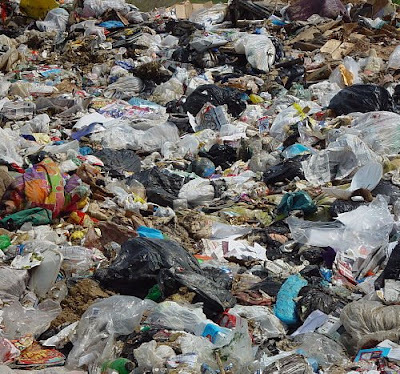 Now have you ever wondered where all the stuff we buy comes from and where it goes when we throw it out? Do you try to tread lightly on the earth or do you walk heavily, not caring how much of the earths resources you use as long as you have everything you want? We live on a finite planet, which means there are only so many natural resources available to make all the stuff that we own. And the truth is, we are using too much stuff and the planet is running out of resources. In the past three decades, one-third of the planet’s natural resources base has been used up. Gone! 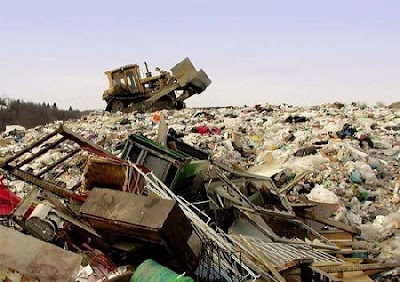 Not only are we using up natural resources but over 100,000 synthetic chemicals are being mixed in with the natural resources to make the stuff. Hardly any of these have been tested for effects on human health. But you can be sure that if toxins are going into the stuff, it’s sure to come out and that will be in our homes, workplaces and schools. If you are curious about how your activities affect the planet (and you should be!! ), you can take a quiz that will show you what your ecological footprint is. Your ecological footprint is a measure of how much of the earths natural resources are needed to support your lifestyle. Everyone has an ecological footprint because we all need to use the earth’s resources to survive. But we must make sure we don’t take more resources than the earth can provide. The quiz will show you how many planets would be needed if everyone in the world consumed the same way you do. You might find that it will take between 3 and 7 planets! But of course we don’t have 7 planets, or even 3. We only have 1 and we need to take care of it. Tread lightly on the planet, my friends, tread lightly! 1. To measure your environmental footprint visit http://www.earthday.net and click on Environmental Footprint. Or just click here. 2. If you are worried about Stuff, and want to find out more about the things you buy, where they come from and where they go, Google The Story of Stuff to watch a 20 minute animation by Annie Leonard. Or just click here. 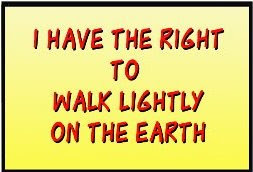 Here’s a story about a boy who helped his family to walk lightly on the earth. Maybe you can do the same. 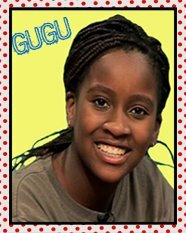 “My name is Temba and I am 13 years old. The other day I measured my ecological footprint and was shocked to see that if everyone used the same amount of energy and resources as me, to live, then we would need 4 planets to support all the people in the world. I wondered how this could be possible? After all, I live in an ordinary family, in an ordinary house. We are comfortable but not super rich. How come it would take so many planets to support us? Then I started to look around my house. The bathroom light was on, even though there was no one in it. The outside porch light was on, even though it was broad daylight. My Dad’s cell phone charger was still plugged into the wall even though his cell phone was fully charged. My Mom drove my sister to her friend’s house, which was three blocks away. Then she came back, and five minutes later she went out in the car again because we needed bread and milk. I began to see how it was possible that 4 planets are needed to support families like ours. 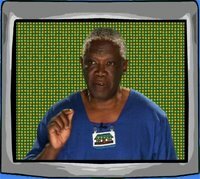 That night I sat my family down and I told them about my ecological footprint and I invited them to sit at the computer and do their own. They were as shocked as I was to find out they were over-users of energy and resources. We decided, as a family, to make a greater effort to recycle as much as we could. The first thing we did was to set up a compost bin in the garden for all the vegetable peels and other organic waste. Next we set up a number of bins in the garage so that we could separate out our waste at the source to make it easier to take it for recycling. 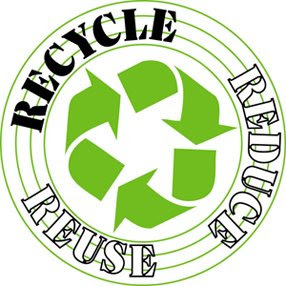 We also think about ways we can re-use things so that they don’t end up in the trash or in the recycling. That’s it for this week. Don’t forget, we’d love to hear your stories, and if you need any help with questions, we’d be delighted to answer them.